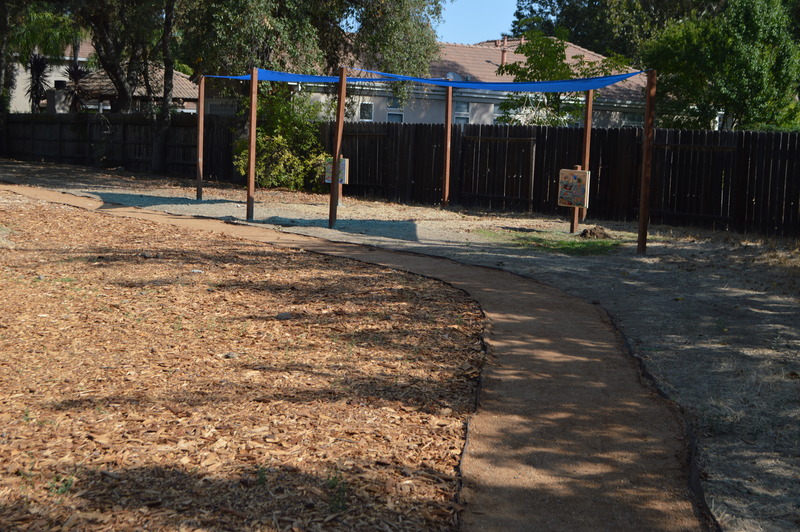 Our north Crisis Nursery has a brand new nature trail, thanks to SMUD and Team Giving. 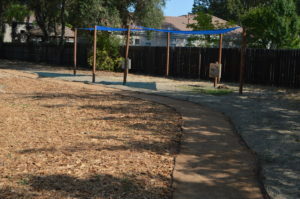 As part of its annual #SMUDCaresDay, SMUD—in coordination with Team Giving—allocated over 100 of its employees to the north Crisis Nursery to build the interactive trail for the children served by the nursery. 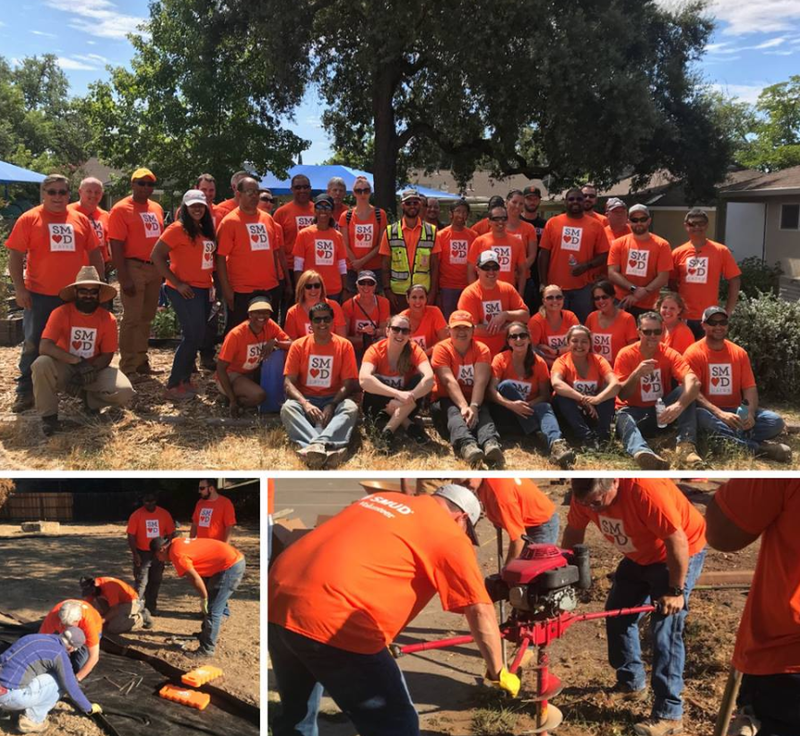 In addition, the team painted inside walls, applied new, kid-friendly wall decorations, fixed a broken gate, installed a new fence with lighting, and handled much-needed maintenance of bushes, trees, and plants in the front yard. 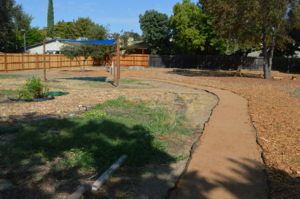 The projects were spread out over three days to complete, with the bulk of the work completed in early September. A crew of about 40 kicked things off by prepping the area that would become the future trail. Then on Sept. 12—SMUD Cares Day—about 120 employees arrived to tackle the bulk of the projects. A dozen or so team members returned to finish the jobs. Already, the trail has been a hit with the kids. The Crisis Nursery team shared that a child new to the program was put at ease thanks to the trail. The child was having a difficult time adjusting. It was nap time and she, having recently arrived for the first time, was too apprehensive and frightened. So a staff member took her outside to show her the new trail. After walking the trail, the child came inside, calm and reassured, and fell quickly asleep. The nursery team intends to use the trail to not only make children more comfortable but also as an interactive learning experience. 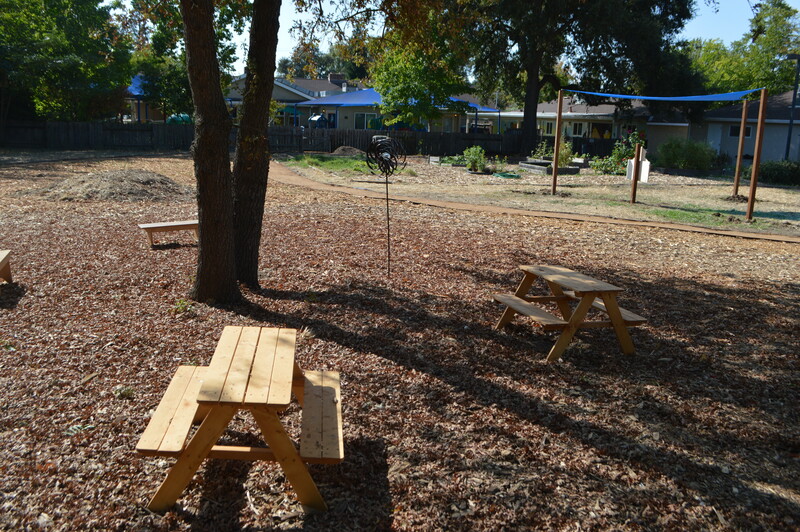 With picnic tables placed in the area, the children can also have snack and lunch, too. “We’re grateful that SMUD Cares understands the importance of a peaceful and playful respite for families in crisis,” Sacramento Children’s Home Director of Philanthropy Todd Koolakian said. Thank you Team Giving for assisting with setting up this massive project. 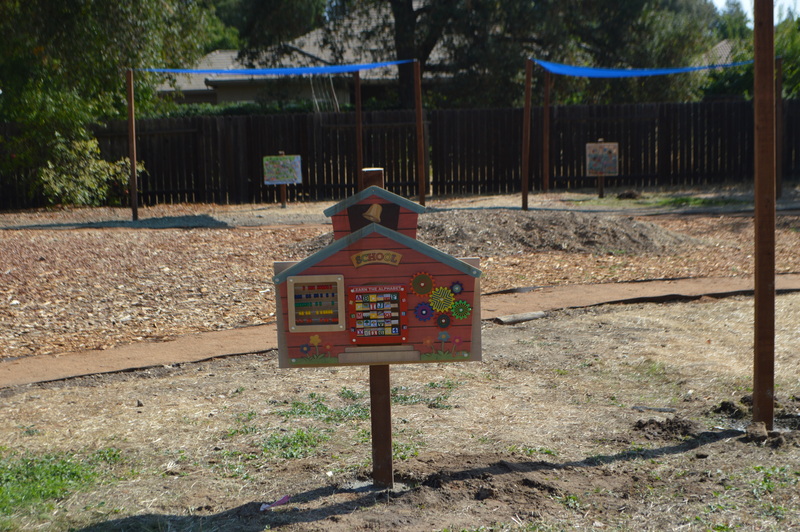 Thank you SMUD for choosing the Crisis Nursery Program. And thank you, volunteers, for all of your hard work. We are thrilled with how everything turned out!